Four panelists were invited to present on the topic of veteran mental health and trauma at the Tri-University Graduate History Conference in March 2018. They were subsequently interviewed, which was eventually turned into the first two episodes of a four-part podcast series. The “Lessons Learned” report presented here reflects on the panel’s conference presentations and the two podcast episodes called “Unpacking the Trauma Kit” (available here: part I and part II). Preventing and treating psychological trauma are among the leading issues currently facing the Canadian Armed Forces and Veterans Affairs Canada. 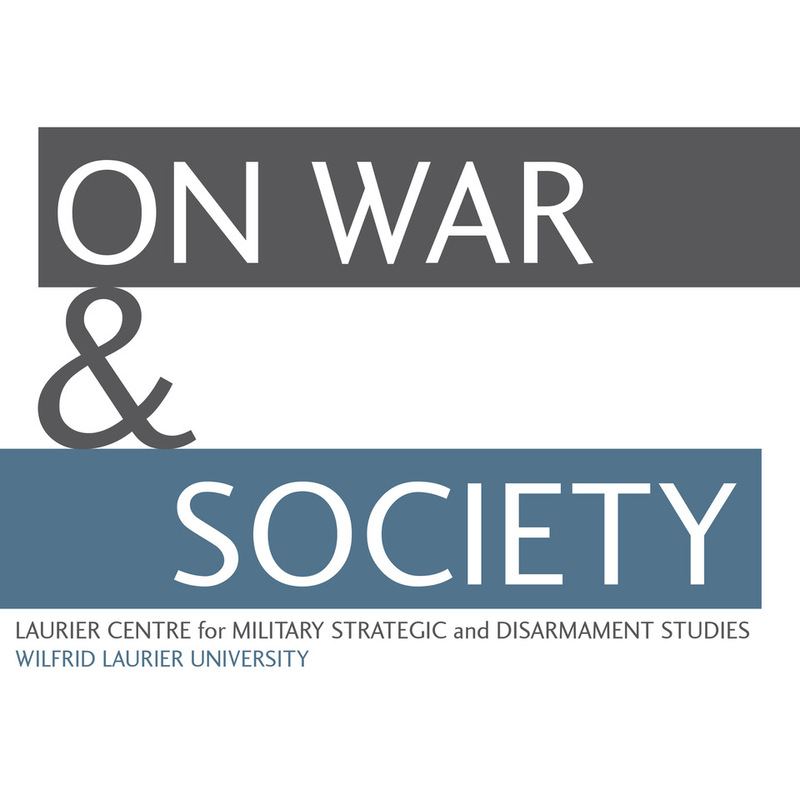 The following report is a summary and brief analysis of discussions amongst two academics and two veterans to shed light on how the Canadian military and government have historically treated service-related mental trauma and how those policies have evolved over the twentieth- and twenty-first centuries to the present-day. It also examines the difficulties that continue to exist in diagnosing post-traumatic-stress-disorder (PTSD) and the challenges of reintegrating veterans into civilian society. The discussion goes beyond combat-related trauma and considers the complications and challenges victims of military sexual trauma (MST) encounter as well. It is difficult to determine exactly how institutions can fix these complex issues in the current system, but this report offers lessons from the past and present that can help direct approaches to military and veterans’ affairs in future policy initiatives. Mental trauma first became of significant concern to the Canadian military during the First World War. “Shell shock,” as it was called between 1914 and 1918, was undeniable across the battlefield affecting thousands of soldiers, but it was originally considered to be a temporary state in which many men suffered during and immediately after the shelling and raiding of trench warfare. While historian Mark Humphries notes that Canadian military officials and medical authorities regarded trauma as a peripheral issue, a treatment regime did exist centering around rest and spa treatment. The Canadian Army Medical Corps established a network that included special neurological hospitals, providing men from across the ranks with treatment for mental trauma. More serious cases of emotional trauma were categorized as “hysteria” or various other forms of war neurosis, but such diagnoses were greatly stigmatizing. Many psychiatrists of the period pathologized “hysteria” as a mental illness exclusively afflicting women, but due to the similarity of symptoms, military psychiatrists concluded that shell-shocked soldiers were biologically predisposed to such maladies or had become weak and effeminate as a result of their injuries. Military officials did take an interest in discerning the degree to which war affected the mental state of soldiers, as well as a regard for how best to treat these cases within the military-medical community; nonetheless, expectations of masculinity limited how this could best be achieved. If a veteran’s symptoms continued for years after the war, it was blamed on hereditary psychiatric ailments or an individual veteran’s failure to meet standards of masculine behaviour. In the 1920s and 1930s, veterans encountered difficulty in proving to the state, military and society that their ongoing mental trauma was a result of the war. By the Second World War, there was a greater degree of recognition of combat-related mental trauma. Claire Cookson-Hills describes the PIE framework as one of the formal treatment procedures introduced during the war, which prescribed men to stay within “proximity” of the front, receive “immediate” treatment, and maintain an “expectation” of returning to combat. The approach to diagnosing and treating trauma during not only Second World War, but the First too, was predicated on returning soldiers to active duty as quickly as possible. Unfortunately, circumstances that plagued veterans of the Second World War were eerily similar to those of the First. After relearning many of the lessons about mental trauma from the First World War, advancement in institutional knowledge vanished again when hostilities ceased in 1945. Demobilization and shrinking budgets greatly reduced the psychiatric services available to Canadian veterans. Military medical professionals reverted to the attitude that although mental trauma was a common facet of soldiers’ experiences, it was unlikely to impact veterans over the course of their civilian lives. Furthermore, civilian doctors and psychiatrists were poorly equipped to identify and treat veterans with combat-related trauma. The result was that those veterans suffering from mental trauma were largely ignored by the state and civilian society in the post-war period. Canadian veteran Bruce Moncur says a signalled shift in post-war treatment for Canadian veterans in the 1990s under the Jean Chrétien government. Clinics and rehabilitation programs were instituted specifically for treating veterans with PTSD. This was in response to the number of controversial conflicts in which Canada was involved overseas during that period, such as in Rwanda and Somalia, resulting in an increased proportion of Canadian soldiers returning home with reported mental health issues than in past engagements. Over the last few decades, the Canadian Armed Forces, Department of National Defense and Veterans Affairs Canada have worked together to destigmatize mental health issues and make treatment at home more accessible to veterans, yet grave issues still plague Canadian veterans, especially in the wake of the War on Terror. Many have voiced their dissatisfaction with the Joint Personnel Support Unit (JPSU), an organization intended to assist mentally- or physically-injured veterans transition into civilian life. Criticisms of the JPSU include staff shortages, excessive bureaucratic red tape and policy rifts between Veterans Affairs and the Armed Forces. Recent reports have also indicated that upwards of $372 million intended for veterans and their families have been left unspent by Veterans Affairs. These reports indicate that there is much room for improving care for veterans in Canada. There is a limited understanding of the degree to which military service and combat affect mental health. The rate of mental health disorders among Canadian veterans is significantly higher than that of the general Canadian population, indicating a correlation between military service and trauma. But the absence of a causative link between the two means the medical community remains unsure exactly how to remedy the mental health disparity between veterans and the larger population. Another challenge veterans face in the diagnosis of mental trauma is the burden of proof. In 2006, a policy change required veterans to prove their injuries were incurred on active duty. Under the New Veterans Charter, the onus was placed on veterans to prove their trauma was combat-related. The current policy of the Canadian Armed Forces requires soldiers to declare an injury on a CF-98 Form, which, according to veteran Marie-Claude Gagnon, severely limits veterans’ access to care. The claim must be submitted within a timeframe of the occurrence of the injury; it relies heavily on witness testimony; and, most crucially, it is limited only to physical injuries. Since mental trauma is individualized and highly subjective (making witness corroboration nearly impossible) and manifests over an indeterminate period of time, it is obvious how problematic this procedure is. Mark Humphries sees the burden of proof falling on veterans as an erosion of the pension system that was established during the Second World War, which he says “set the gold standard” for care of wounded ex-soldiers. The New Veterans Charter signals a return to a First World War-style pension system that expects veterans to prove their injuries were acquired from service. Further complicating the matter is military sexual trauma or MST. According to Gagnon, the CAF, unlike the US Army, does not have a formal definition of MST nor a formal screening process for victims of sexual assault and harassment. The 2015 External Review into Sexual Misconduct and Sexual Harassment in the Canadian Armed Forces––also known as the Deschamps Report––found that the hyper-masculine culture of the CAF is a significant contributing factor in the sexualization and exploitation of female military personnel. The experiences of victims of MST continue to be highly stigmatized and modern standards demand greater awareness of gender issues in the military. As veterans themselves, both Moncur and Gagnon attest to the dangerous misogyny rampant in the CAF aimed at female staff, which is corrosive to unit cohesion. Deschamps outlines ten recommendations for the CAF to implement to improve the protection of its soldiers––especially women––but it has yet to ensure these recommendations are properly implemented. The post-war experience of veterans has drastically changed since the First World War. Mark Humphries links this change to the transition of the modern military career from the limited volunteer- and conscription-based systems of the world wars, noting that many more men returned home to share the experience of reintegration then compared to now. The Canadian Life After Service Survey (LASS) records nearly 670,000 veterans living in Canadian society as of March 2016, making up less than two percent of Canada’s population. The limited nature of the political influence of today’s veteran community becomes even more evident when, compared to the First World War, about fifteen percent of the eligible male population enlisted and served. Many of today’s veterans experience isolation when returning to a society that neither appreciates nor understands what they endure. Deeply conflicting values between civilian society and the military leave many veterans wondering where they belong after active duty. In the case of MST victims, as Gagnon notes, many are further ostracized by being excluded from veteran circles as well. Mental trauma will remain a problem for the CAF so long as Canada is actively engaged in peacekeeping missions and warfare around the world. Over the last several decades, and particularly in more recent years, great efforts have been made to expand understandings of mental health, but the complex nature of mental trauma means that no singular treatment is adequate. One of the ways to ensure better treatment is to ask those actually being treated for mental trauma. Stronger collaboration between veterans, advocates and the Canadian military must be pursued to ensure that treatment is contributing to (and not hindering) the healing process necessary for those suffering from mental trauma. Second, less responsibility must be placed on veterans to prove their injuries and trauma are combat-related. This will mitigate against the further traumatization inherent in compelling someone to relive their traumatic experiences and prove their trauma is legitimate. It will also assure veterans they will receive proper care. In particular, more deliberate steps need to be taken to prevent MST, beginning with implementing recommendations from the Deschamps Report to establish greater accountability and a safer and more inclusive military culture. Lastly, greater empathy and consideration from the Canadian public is necessary in helping veterans adjust to civilian life. Though civilians cannot fully understand and empathize with their experiences, patience through rehabilitation and advocacy for greater government-based care and support will make a difference. Preventing trauma amongst soldiers is impossible, but cooperation through all facets of reintegration can help prevent further traumatizing Canadian veterans in the present and future. Canada. Parliament. House of Commons. Standing Committee on Veteran Affairs. Minutes of Proceedings, 1st sess., 42nd Parliament, Meeting No. 9, 3 May 2016. Deschamps, Marie. External Review into Sexual Misconduct and Sexual Harassment in the Canadian Armed Forces. [Ottawa]: National Defence and the Canadian Forces, 2015. Eichler, Maya. “Learning From the Deschamps Report: Why Military and Veteran Researchers Ought to Pay Attention to Gender.” Journal of Military, Veteran and Family Health 2, no. 1 (April 2016): 5–8. Humphries, Mark Osborne with Kellen Kurchinski. “Rest, Relax, and Get Well: A Re-Conceptualisation of Great War Shell Shock Treatment.” War & Society 27, no. 2 (October 2008): 89–110. Shephard, Ben. A War of Nerves: Soldiers and Psychiatrists in the Twentieth Century. Cambridge: Harvard University Press, 2000. “This is Why – Canadian Veterans Feel Betrayed By Their Country.” Global News, September 21, 2018, https://globalnews.ca/news/4465501/this-is-why-canadian-veterans-feel-betrayed-by-their-country/. Thompson, James M., Linda D. VanTil, J. Sweet, Alain Poirier, Kristofer McKinnon, Sanela Dursan, Kerry Sudom, Mark A. Zamorski, Jitender Sareen, David Ross, C. Hoskins and David J. Pedlar. Canadian Armed Forces Veterans: Mental Health Findings from the 2013 Life After Service Survey. [Charlottetown, PEI]: Research Directorate, Veterans Affairs Canada, 2015. http://publications.gc.ca/collections/collection_2016/acc-vac/V32-260-2016-eng.pdf. Thompson, James M., Linda D. VanTil, Mark A. Zamorski, Bryan Garber, Sanela Dursan, Deniz Fikretoglu, David Ross, J. Donald Richardson, Jitender Sareen, Kerry Sudom, Cyd Courchesne and David J. Pedlar. 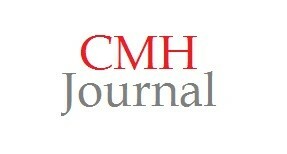 “Mental Health of Canadian Armed Forces Veterans: Review of Population Studies.” Journal of Military, Veteran and Family Health 2, no. 1 (April 2016): 70–86. VanTil, Linda D., Jill Sweet, Alain Poirier, Kristofer McKinnon, David Pedlar, Kerry Sudom and Sanela Dursun. Well-Being of Canadian Regular Force Veterans: Findings from LASS 2016 Survey. [Charlottetown, PEI]. Veterans Affairs Canada. Research Directorate, 2017. Whitley, Robert. “A Call to Arms to Protect Veterans’ Mental Health.” The Huffington Post, May 11, 2018, https://www.huffingtonpost.ca/robertwhitley/a-call-to-arms-to-protect-veterans-mental-health_a_23430857/. Mark Osborne Humphries with Kellen Kurchinski, “Rest, Relax, and Get Well: A Re-Conceptualisation of Great War Shell Shock Treatment,” War & Society 27, no. 2 (October 2008): 110. Ben Shephard, A War of Nerves: Soldiers and Psychiatrists in the Twentieth Century (Cambridge: Harvard University Press, 2000). Mark Humphries, “War’s Long Shadow: Masculinity, Medicine, and the Gendered Politics of Trauma, 1914–1939,” The Canadian Historical Review 91, no. 3 (September 2010): 508–13, 516–20. Terry Copp and Bill McAndrew, Battle Exhaustion: Soldiers and Psychiatrists in the Canadian Army, 1939-1945 (McGill-Queen’s University Press, 1990): 155–61. James M. Thompson et al., “Mental Health of Canadian Armed Forces Veterans: Review of Population Studies,” Journal of Military, Veteran, and Family Health 2, no. 1 (April 2016): 71, 80. Canada. Parliament. House of Commons. Standing Committee on Veteran Affairs, Minutes of Proceedings, 1st sess., 42nd Parliament, Meeting No. 9, 3 May 2016. “This is Why – Canadian Veterans Feel Betrayed By Their Country,” Global News, 21 September 2018, https://globalnews.ca/news/4465501/this-is-why-canadian-veterans-feel-betrayed-by-their-country/. Thompson et al., “Mental Health of Canadian Armed Forces Veterans,” 78. Robert Whitley, “A Call to Arms to Protect Veterans’ Mental Health,” The Huffington Post, May 11, 2018, https://www.huffingtonpost.ca/robertwhitley/a-call-to-arms-to-protect-veterans-mental-health_a_23430857/. Marie Deschamps, External Review into Sexual Misconduct and Sexual Harassment in the Canadian Armed Forces [Ottawa]: National Defence and the Canadian Forces, 2015, ii–iv. Maya Eichler, “Learning from the Deschamps Report: Why Military and Veteran Researchers Ought to Pay Attention to Gender,” Journal of Military, Veteran and Family Health 2, no. 1 (April 2016): 5–8. Linda D. VanTil et al., Being of Canadian Regular Force Veterans: Findings from LASS 2016 Survey [Charlottetown, PEI]: Veterans Affairs Canada, Research Directorate, 2017, 8.